This is the perfect solution to the flea tick problem for our very large dog. My groomer thinks it is great. No bugs. This product stays on tight and won't break off! This product does what it says! This product works as advertised! 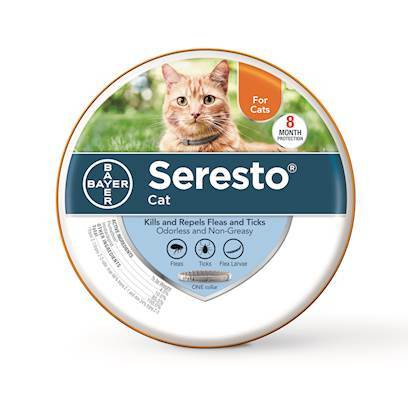 Seresto has been great for both of our dog. This product is easily fitted and locks in place not using a buckle. I like how it fits. This product is so user friendly! This product has been a godsend! This product is very expensive not to work well. The only option for a meticulous gromme with awesome dexterity.. Very very satisfied with this product. Seemed to be working, but didn't stay on. Sookie does not mind wearing the collar and her vet states she does not have fleas. I love the fact that the fleas cannot bite my dog. It really works really well. This product is well worth the cost! Works GREAT!